Living in a condo? Here are some tips you'll need to create a cozy space. Are you newlyweds and are currently looking for a new home? Or just looking a place for you to move-in? Occasionally, well most of time (especially during these days), the sizes of the living space are getting smaller and smaller while it gets more and more expensive. However, whether by choice or by necessity everyone still afford to live in condominium units. Condominiums or condo for short is the trend for real estate nowadays. It is a large property complex which is divided into units that are being sold. Actually, according to survey, 6 out of 10 home sales are condos, would you believe that? People invest in real estate for some different reasons. This way of living happens to be both trendy and competent to deal with city’s lifestyle. It may be an excellent choice for young professional that needs to be close to work. Otherwise, an ideal start for a newly married couple. 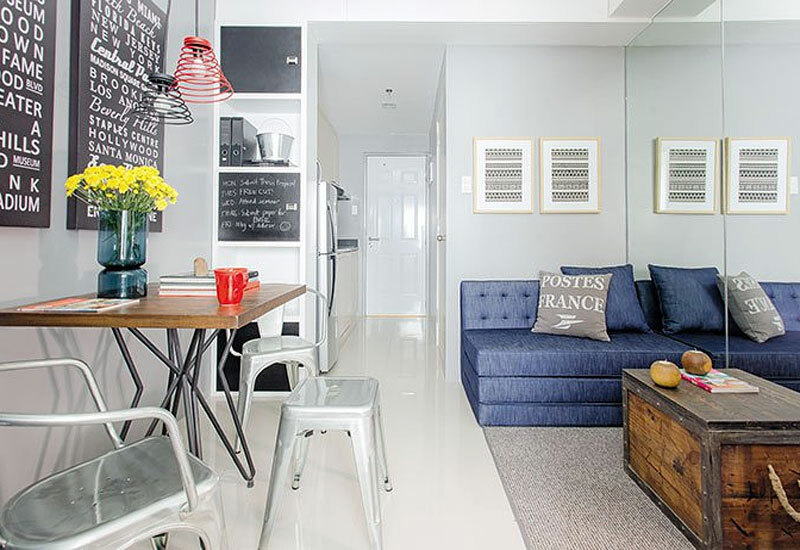 But unlike a typical house and lot, a condo unit only has constrained area to offer. Now, the challenge that each one needs to deal with is how they can have a comfortable, good-looking home despite of the limited space availability. Let’s us together find out how. How to make the most out of a compact living? 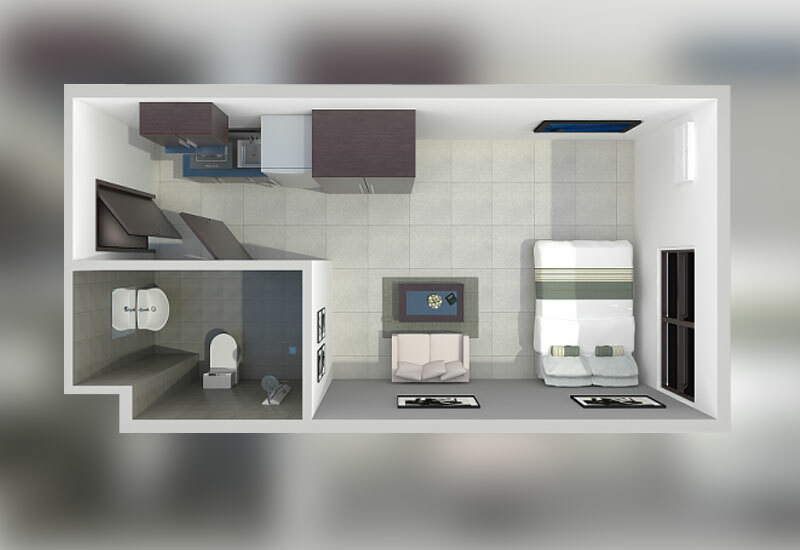 Unbelievably, the picture above shows a 23 square meter studio unit. You might be hesitant by now to buy thinking it’s too small. It may seem small but can be livable, right? The lack of space would not always mean to sacrifice the comfort and style. Even a small home like this can offer expediency, shelter and security. The only key you need is to be mindful and constructive. 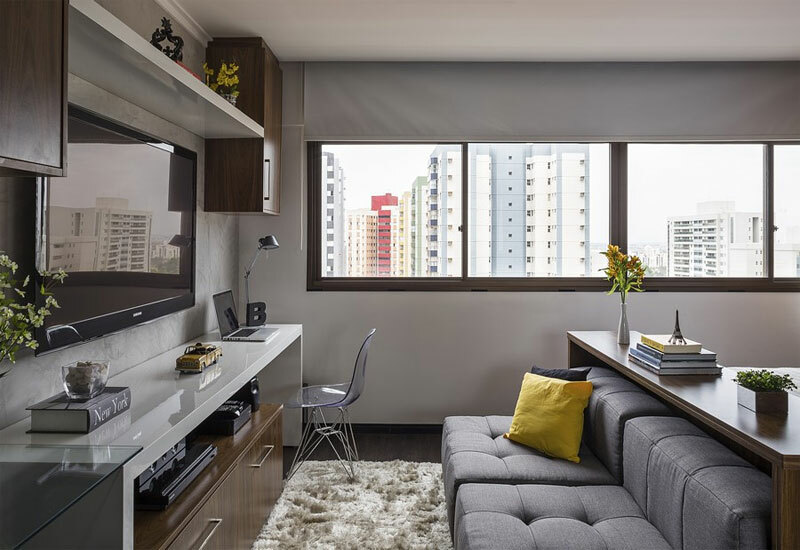 So here are some helpful tips for compact living. Any home no matter how big or small it is, would always have an entryway. This is where you accept and welcome anyone who comes into your home. We may neglect the importance of decorating entryway especially when the space that you have is only enough for passage. But actually it doesn’t matter, in many ways you can have an inviting home by dressing up your entryway. It can be done by just simply hanging frames or mirrors or any art work on the wall. If an extra space is offered you can either place a table with decorative items like vase and lamps or a cabinet where you can store your shoes and coats. I bet that you may not want that living room alone consumes all the extent you have. After all, it shares one floor with the kitchen, dining, and bedroom. 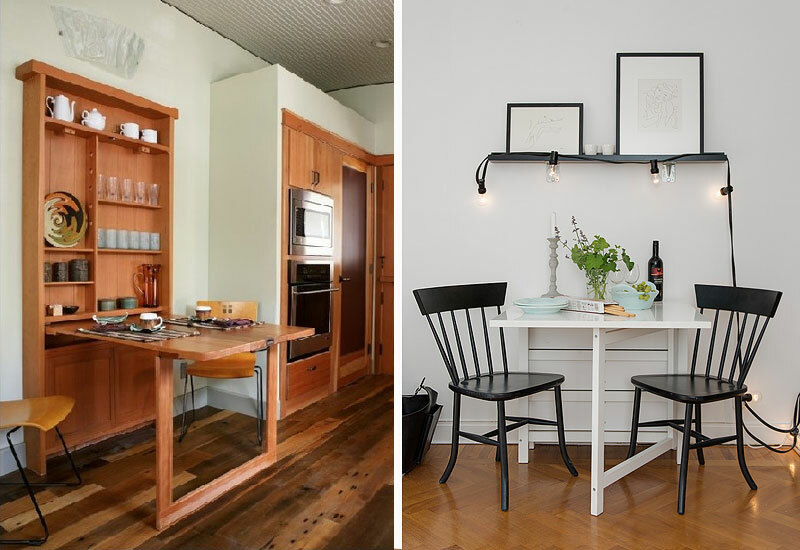 You must know how to budget your spaces evenly to have a free-flowing space. In setting up your living area, the only key is to use multi-functional furniture. The idea of using a convertible sofa bed is a clever way to conserve space. At the same time, having a pop-up trundle provides an additional bed for any guest who wants to break-in. You just need to pull it out when needed and simply push it back when not. A very easy thing to do! 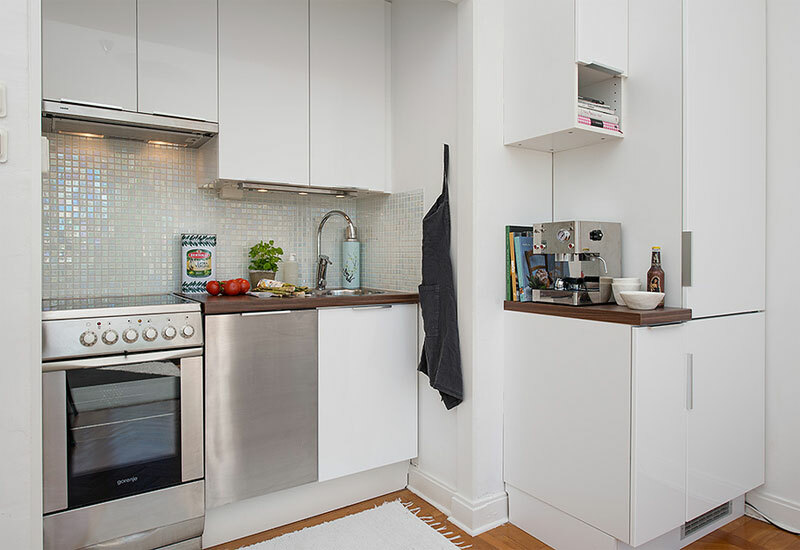 The kitchen is an important space inside your home. No matter how small your area is you must not forget to allocate a space for it. It may be small but still it can be functional. Holding with the fact that you only have limited space, the only key is maximizing the space. You must know how to use every bit of corner or space that is provided. Built-in cabinets are very useful. And installing it from ceiling-to-floor and wall-to-wall is an ideal way. It can be used in storing your appliances and other stuff to have an organized look. You can think of unique ideas on how you can conserve your space. It may be odd, but you must embrace the routine of folding and unfolding of furniture in this case. There are already a lot of folding tables and chairs available in store. Or you may ask help from your designer if you want it customized. There are array of designs of wall-mounted table that can be folded down that you can choose from. It is the trend and it just looks so clever! As I was saying, be imaginative! 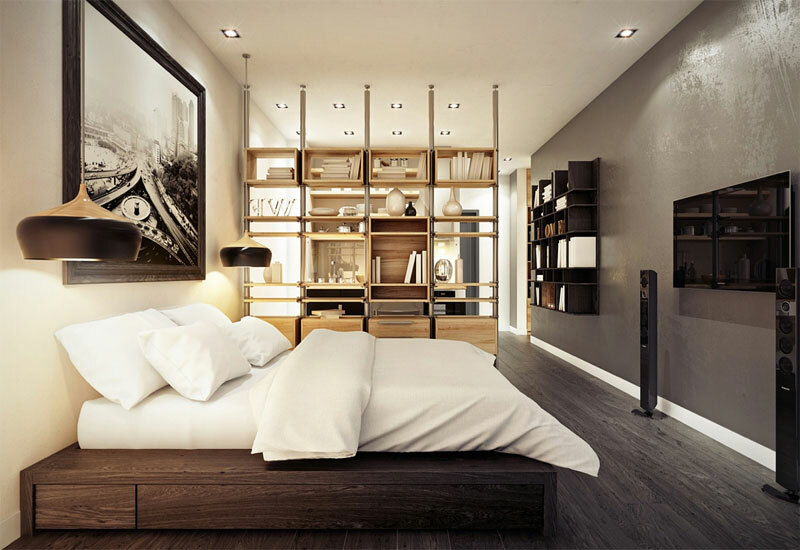 Since you are dealing with limited space, a condominium would greatly benefit with hide-away beds. It is a great solution in conserving space and an ideal bed space for guests. Well, it is simply laid down when used and tucked up when not. 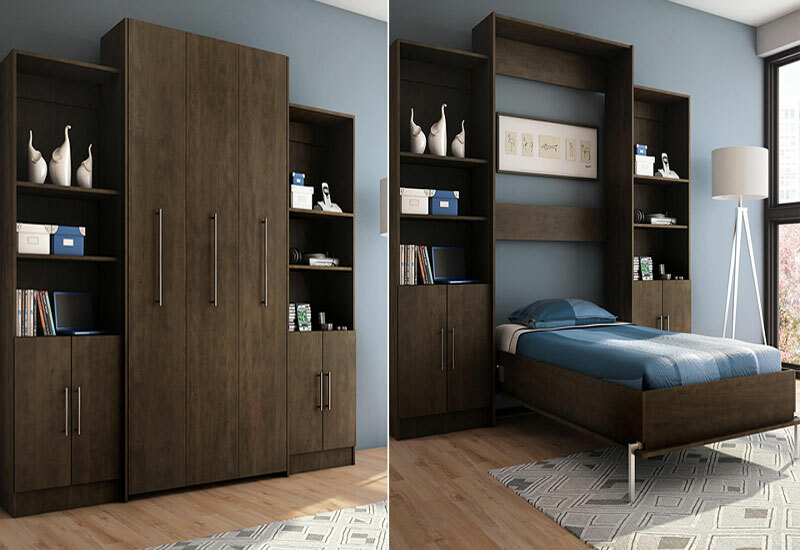 Nowadays, there are hide-away beds or Murphy beds that offer great comfort and style at the same time. Inside your unit, believe it or not, it has more walls than floor space. So use any available wide walls you have. So instead of purchasing another TV stand or cabinet that can only occupy the available space left, better use the walls. Hang that wide flat screen television. It cannot only save space but also can be an additional decor or accent in your interior. Your walls can also be used in displaying creative work or artwork you have. You might want to paint it or hang some framed paintings that can create a fantastic ambience to your space. Cabinets and shelves is your only solution for a clutter-free interior. Built-in cabinets and hanging shelves are the witty way of organizing and arranging your stuffs. It would always turn to be a better idea to keep the things that are not often used. 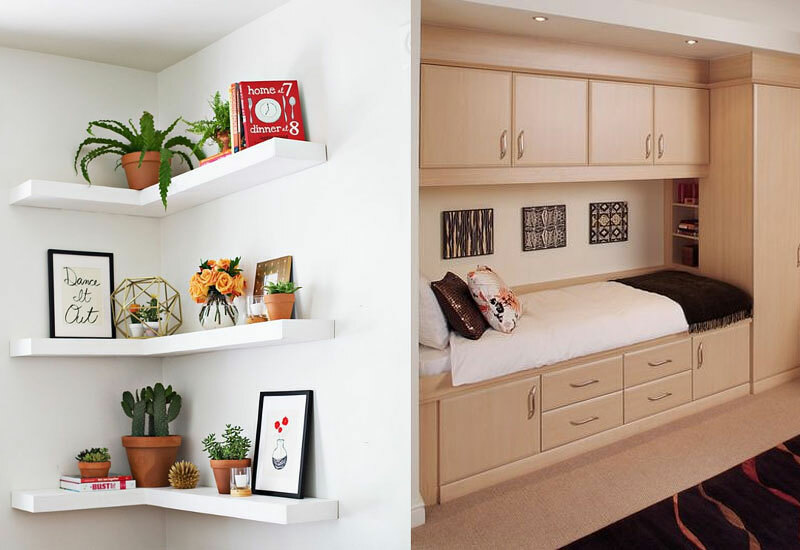 Remember, when you are living in a small space your main goal is to conserve the available space as much as possible. 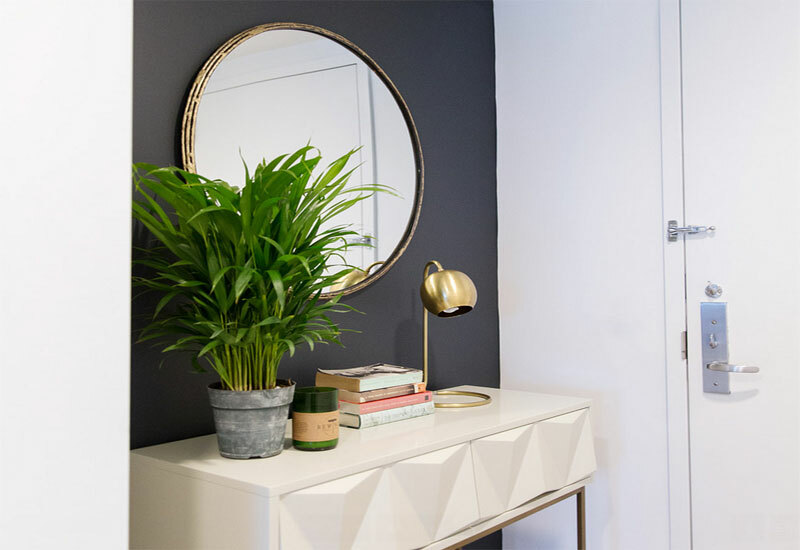 It was already mentioned in an article here in Home Design Lover that reflection is a clever solution for small spaces. And there are many ways on how to incorporate reflection inside your homes. One common example is the use of mirrors. You can convert your dry walls into mirrored walls. In this way it reflects the opposite wall creating an illusion of having a larger space. But be careful in installing mirrors because not all the time it can create that illusion. When it reflects an area that is crowded and full of clutter it would double up the space turning into a crammed full space. In each space that we have inside our homes it undoubtedly needs privacy, more specifically the bedroom. But due to space issues sometimes it would not be possible to affix a close-door room. The only solution to this is to have a divider. A divider serves to be a privacy wall that can be a substitute to the actual wall. 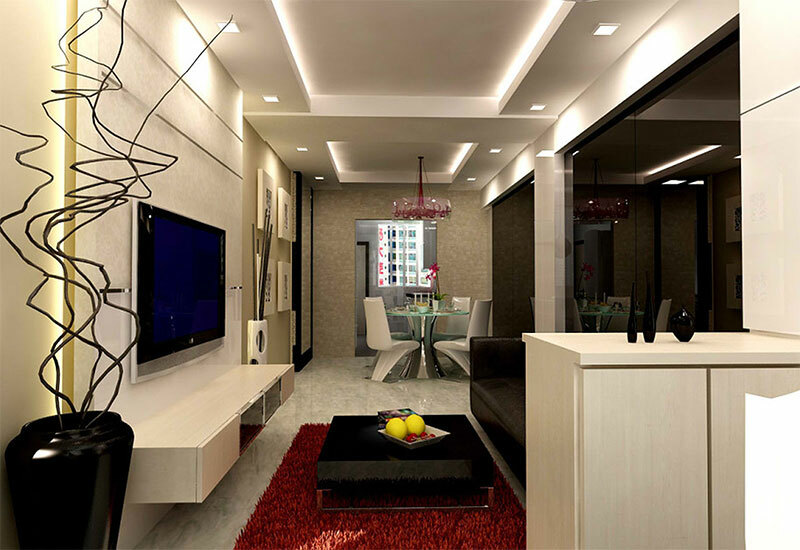 It offers a great difference to your interior which comes in a variety of designs and styles. You can even simply use bookcases as a divider. In such case you will be able to utilize it as storage and a privacy wall at the same time. A small space can be very easy to decorate when you are full of creativeness. It is not necessary to avail or use expensive decorative things just to make it look cozy and stylish. 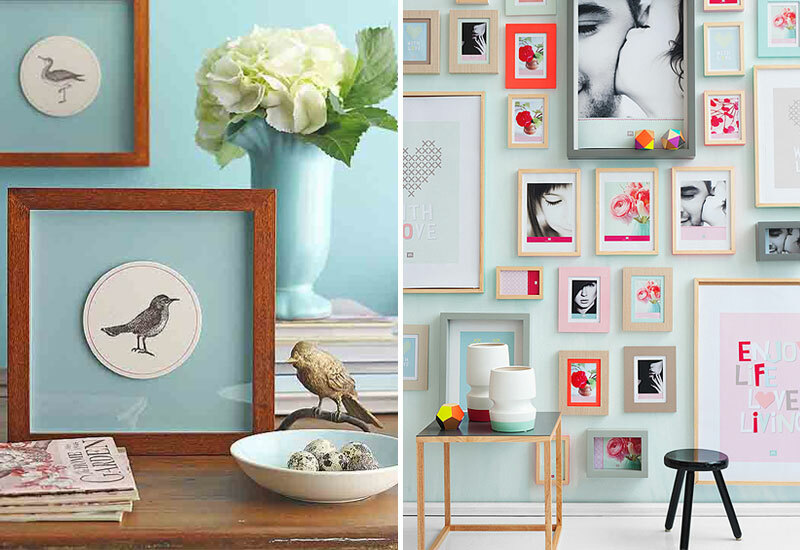 Simple picture frames and other small stuff can already be a perfect decor. Even those old or unused small things can already create a big difference to your interior. But of course, make sure that it compliments your lifestyle and most especially the style that you need to achieve. Of course, patterns and colors play an important role to your interior. A home can appear dull or boring without inclusion of cool color and ideal patterns. For color, it would be better if you will use neutral or plain shades. It gives a different radiance that gives an illusion of a bigger space. As for patterns, go for vertical lines as it also gives an illusion of height. 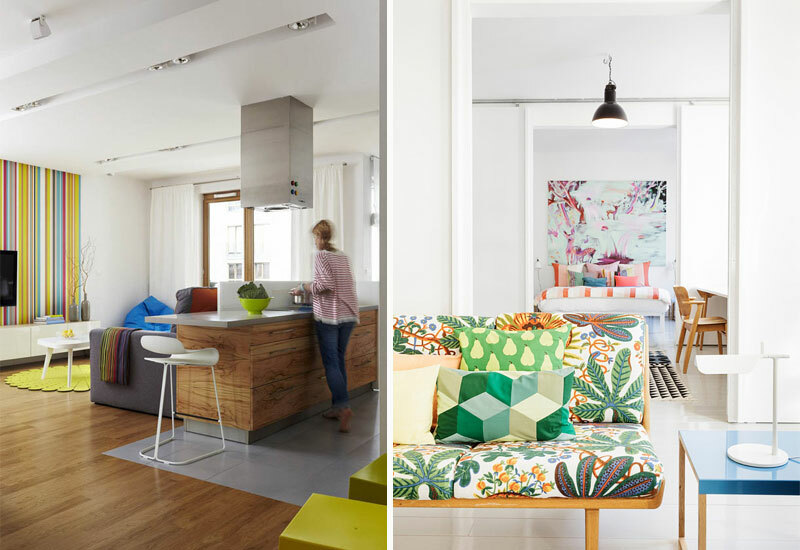 Bright bold patterns can also be your friend which lightens the totality of your interior. Lighting completes the appearance of your home, without it, the beauty of your interior would not be highlighted. LED light are already the trend but of course lights also comes in a variety of choices, so you must also pick the ideal one. Drop lights or pendant light and cove lights are ideal for small spaced homes since it displays the illusion of height. It doesn’t really matter how big or small your space is as long as you know how to maximize it without compromising its functionality and accessibility. So if I were you stop worrying about the size of your soon-to-be-home because after all you have nothing to worry about. You just need to maintain its coziness for it to be called home. So, what can you say? Let us know if this was useful for you, feel free to comment below.